I’m not sure if Zelda has ever seen herself in a mirror before. She was quite taken with the pretty mare in the mirror. 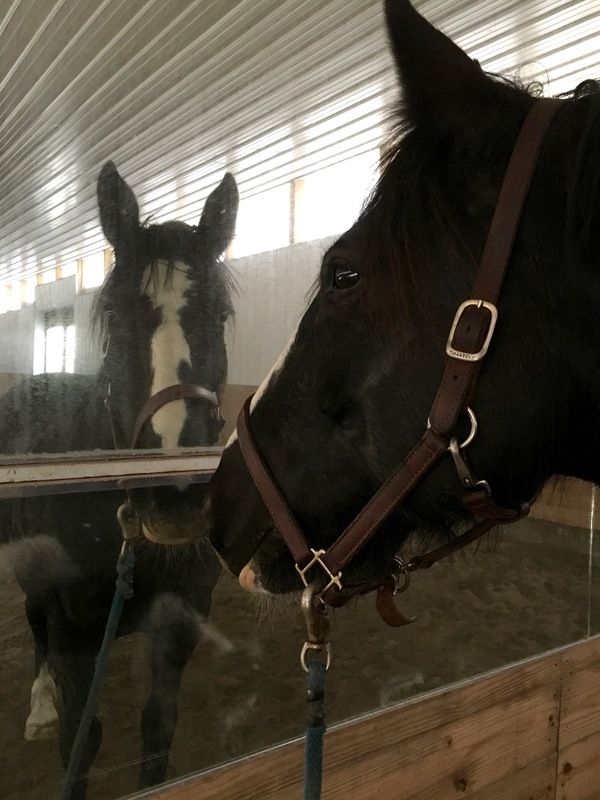 When was the first time your horse saw himself/herself in a mirror? And how did they react?